← Who is your PR Inspiration? They say you can’t go “home” again; I say that’s dead wrong. 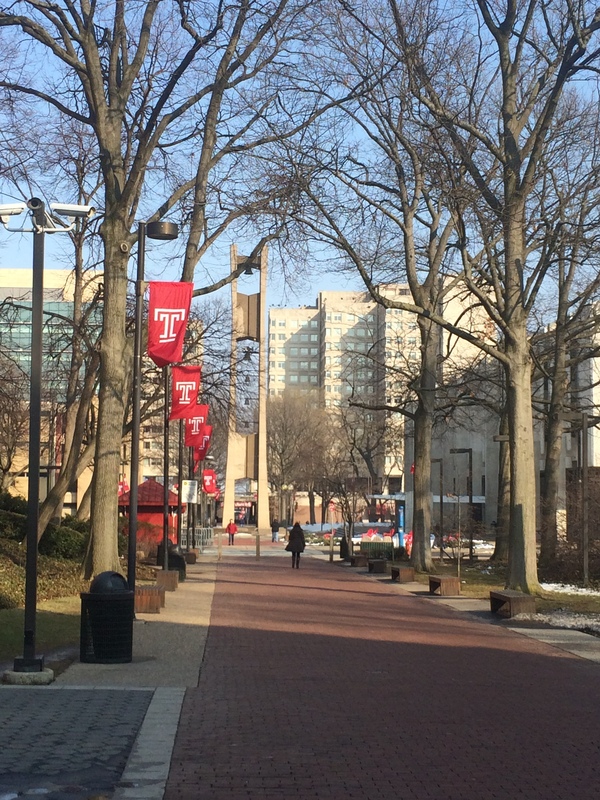 On March 21, I went back to a place I called home for my college days, Temple University. Walking around the campus, which has changed by leaps and bounds since I was there, brought back lots of great memories and emotions. When I was at Temple in the mid-1990s, I had no clue about personal branding. However, I always tried to uphold the traits that I now speak about when giving talks around the country. Those traits are the pillars of my CEO of You sessions. If you want the best out of your brand, online and off, you need to embrace these four pillars. Trust– There isn’t a brand around, personal or otherwise, that can survive without having trust. Never put your brand in a position where you sacrifice the trust you’ve built. I would rather you be last and right, than first and wrong. Do it right the way first! Honesty– Being honest about the expectations of your brand. Never oversell something you aren’t able do, or be something you can’t. You also need to be honest with yourself. How many times have we met people who try to be someone else, or something else? That isn’t honesty. Never over inflate your abilities. Transparency– We often ask clients to be open and transparent. That means, there is no way someone can look at you and not know who you are or what you represent. Being transparent also helps if you are in a crisis. CEO’s that hide are believed to be keeping something important a secret. Don’t hide behind secrecy. Responsibility– You need to take responsibility for who you are and what you do in person and as a professional on social networks. Having a Twitter account, Facebook page, Instagram account, and a blog should be handled with great responsibility. You have the power to enact change as well as lead with these tools. Use them smartly and wisely. At the end of the day, your personal brand needs to be real and have passion. If you can’t or don’t want to be real, you are wasting your time on social networks. Your brand will be fake. It’s harder to correct your brand than it is to be real from the start. People gravitate toward passion. They can see through your BS a mile away. If you aren’t passionate about the work you do – or if you try to fake it – those you lead will pick up on it immediately. To truly inspire others and establish yourself as an expert, you have to love what you do. The drive to be the best is fueled by passion, without it, you may tend to view your work or activities as something you have to do, rather than something you get to do. How are you upholding these four pillars? Let me know in the comments! "It's never too late to have a life and it's never too late to change one." That's something I tell students, friends, and family all the time. After living and working in New York City, I took my own advice in 2004, switched my career from the television/radio industry and got into public relations. Now, I spend my days as a PR/social media marketing consultant and get inspired daily. It's been a good ride, so far. But the car has plenty of gas left. I hope you'll join along in this guy's journey! Posted on March 26, 2015, in Branding, Inspiration, Personal Branding, Personal Journey and tagged CEO of You, Personal Branding, Public Relations, Temple PRSSA, Temple University. Bookmark the permalink. Leave a comment.